Size of this PNG preview of this SVG file: 675 × 450 pixels. Ither resolutions: 320 × 213 pixels | 640 × 427 pixels | 800 × 533 pixels | 1,024 × 683 pixels | 1,280 × 853 pixels. Soorce SVG source for the coat of arms is from File:Coat of arms of Sint Maarten.svg, with background colors and dimensions hand-drawn per previous versions. Author User:Shervinafshar, based on work of User:Washiucho. Earlier non-PD versions by User:SiBr4, User:Fry1989, and User:Andrwsc. 03:22, 3 August 2014 675 × 450 (86 KB) Shervinafshar Background fix. 03:20, 3 August 2014 675 × 450 (86 KB) Shervinafshar Background fix. 03:18, 3 August 2014 675 × 450 (86 KB) Shervinafshar Redrawn from scratch and publishes as Public Domain. 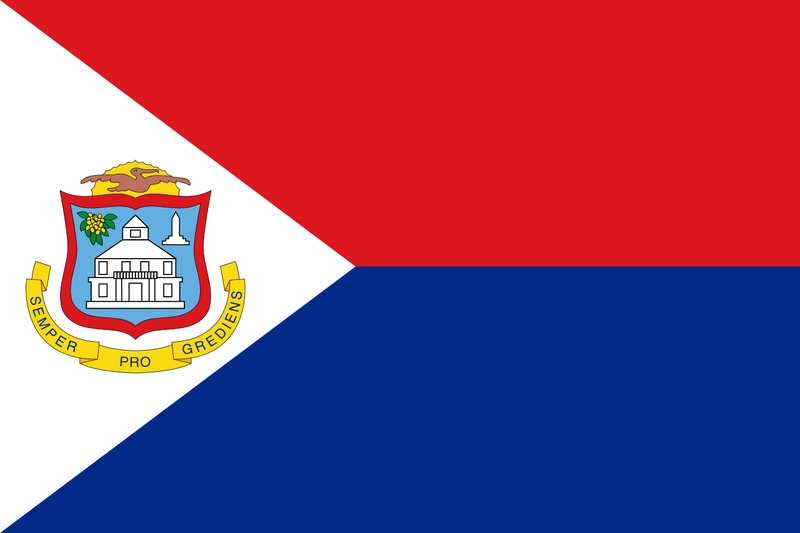 Uses File:Coat_of_arms_of_Sint_Maarten.svg which is PD as well.